Downhill winter sports get the most press this time of year, but we know there are many ways to enjoy the outdoors in winter. Because being an adult is difficult sometimes (or lot of the time! ), today we focus on a pair of activities that should appeal to the young.. and the young at heart. Sledding is of course popular with kids the world over, and fat bikes, with their big bouncy tires, just look fun. 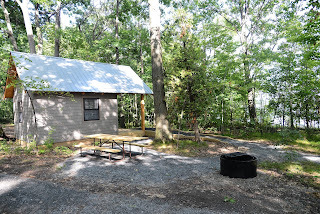 Burton Island is one of Vermont’s most popular state parks, and now there is even more to love about this island in Lake Champlain. Three new cabins finished last summer will be open for the 2017 season and reservations can be made beginning Tuesday, January 17 at 9:00 am. Reservations can only be made through the reservation call center at 1-888-409-7579 Monday – Friday 9:00 am – 4:00 pm. On a vacation day in late December, I happened to be driving past Allis State Park and decided to stop for a walk. It was a lovely day: sunny, not too cold and a fresh covering of snow. On the day I visited, the gate was open and the road to the contact station plowed. This was lucky for me since I had left my snowshoes at home. The park was not busy, but certainly not deserted either. As I was leaving, another car pulled in- these people well equipped with winter gear and snowshoes. Allis is also a good place to go sledding. The park road is perfect for a long ride, and there are more gentle hills in the day use area. One caveat: make sure the gate is closed before going on a joy ride! Since I was so close, I also stopped at Baker Pond and the Floating Bridge, which both have a very different feel in the wintertime.